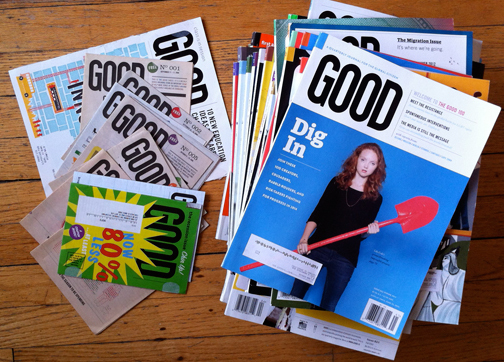 My GOOD Magazine Collection, including the free Starbucks ones! My GOOD profile is here. Note: This is an orphan page.